Welcome to my Big Dog Site! 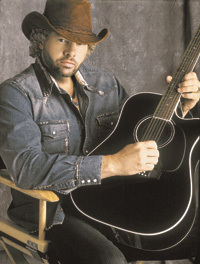 Toby Keith is the Big Dog! I have dedicated my site to Toby because I think he is great and I totally support him and his music in every way I can!It seems like it has taken a long time for him to get to the top. It was a struggle at times, but Toby never gave up he just worked even harder. It was a journey that I have enjoyed in the background. Toby doesn't even know I exist, except for the one time I did get to Meet and Greet him. It is a day I will never forget! I have been there for the disappointments and the joys! He well deserves the recognition he receives today and I am so proud of him for his achievements! 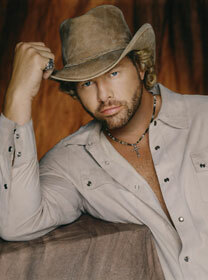 I remember when people would ask me who my favorite artist was and I'd say Toby Keith ! Toby who? they would say. This used to upset me so much! Well, Toby who? is no more now he is a household name. He is so popular now that he is breaking attendance records in many arenas. People can't get enough of him. I knew he had what it takes to be a Superstar the first time I heard him! Awesome Job Toby and Thank You for the beautiful music you produce! I couldn't live or wouldn't want to live without it in my life! Keep up the great job! I am a True Big Dog Warrior and very proud of it! 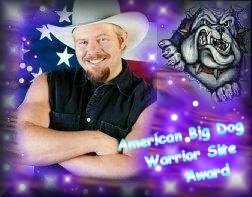 As you will see as you look at mysite, I am an A.T.T.i.K - Addicted To Toby Keith..... and there is no cure!! Hope you enjoy my site. Thanks for checking it out If you have any questions or suggestions just e-mail me at tokeco11@comcast.net. Click the link to add your favorite song verse! Favorite Toby Lyrics Lines: Click to View or Add Text. Help me get a pin in every state. 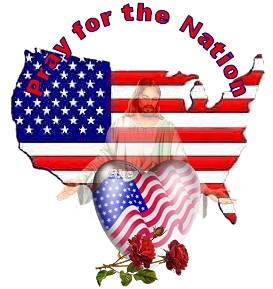 Click to add your state. Click here to enter your Toby site!